There is a dynamic tension when you move abroad. You celebrate what is different about your new home. At the same time, you miss things about what you left behind. After more than nine years living in Thailand, a conversation with a Thai friend who is considering returning to Bangkok after a long time in the United States, made me realize that everywhere is becoming more similar. As I put it to him, “In the nine years I have lived in Bangkok, I have gone from really missing many things about living in the United States, to now being able to find most of those things here.” The obvious exception being family and friends who still live back there. But when it comes to brands, foods, and treats that I used to think of as specific to one area or another, more of those items are available in most major cities around the globe. I really like Pinkberry and enjoy getting some when I am back in California. 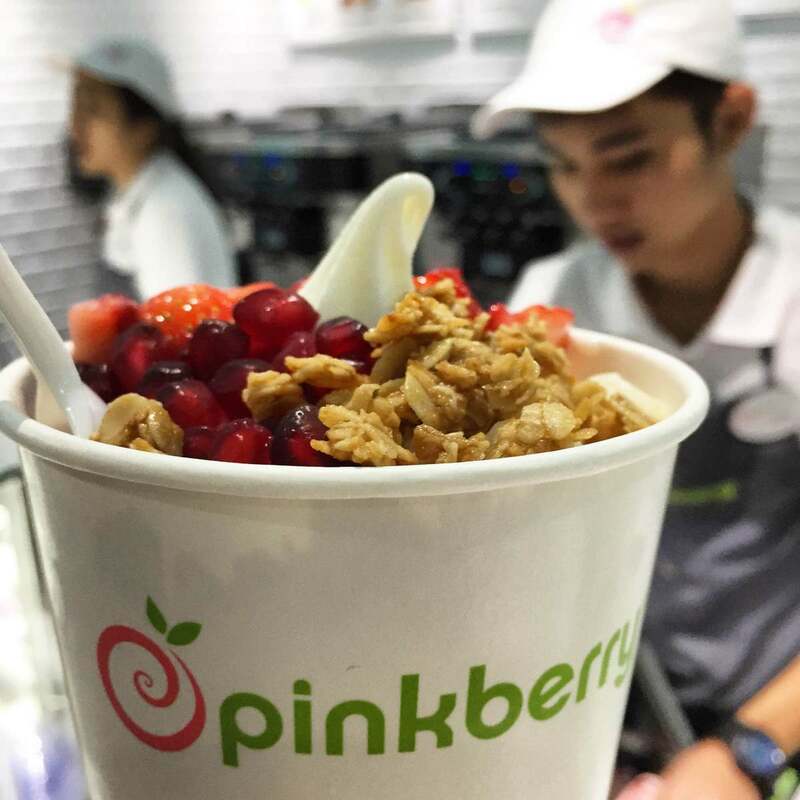 No longer must I wait for a trip to the United States, though, as the first Pinkberry opened a few weeks ago at Central Chidlom mall in Bangkok. Certainly more branches will follow. Harrods, Eric Kaiser, Fauchon, Laduree, Isetan, Uniqlo, Gap, Starbucks, Din Tai Fung, Krispy Kreme, Bon Chon, Muji, and now Pinkberry. The list of items you miss from home gets shorter and shorter as more and more of those items become available here. And that’s not to mention the items like tasty southern-style barbecue or European-style bread that is available from local providers. That is a good thing, from a quality of living standpoint. But it causes me to wonder if there isn’t a downside to the ease and convenience with which I can get previously-regional items anywhere across the globe. Does a place become a little less special when the local specialties are now available across the globe? Do we become a little more spoiled when an increasing number of our desires can be fulfilled, no matter where we are? And at some level, does “place” cease to matter? No easy answers to those questions, but they are worth asking. This entry was posted in Expat Life and tagged Bangkok, brands, chains, Expat, Globalization, Pinkberry by christao408. Bookmark the permalink. In my opinion with these huge global brands becoming available everywhere, I think it makes that brand a little less special. I don’t think that the cities around the world become less special because there will always be those local places like those family owned restaurants or local shops. Well, it’s a good thing! Now I hope some Thai specialty eateries will open branches in LA. I’ve thought it interesting for a long time now how a rich man and a somewhat poor man has access to the same meals. Interesting post, on one hand – I think it’s good for a brand to become more accessible. But for some food products, I wonder if it will create a demand that countries can’t keep up or have to significantly alter their agricultural ecosystems to satisfy the demand. (eg. coffee beans). It does seem a bit weird when you’re traveling thousands of miles to get away and end up eating at McDonald’s. yes. it does feel less special. no longer is there a rush or excitement to travel. granted, getting more brands coming into your country from overseas certainly provides a lot of convenience into the lives of many. especially to the many expatriates who come to live in your country. but for those who travel or loves to travel, there is now less things to look forward to, apart from the people you miss. it’s just not the same. I feel that when I first moved here 10 years ago, you could pretty much get everything I had in Germany – with some inconvenience. Now, the inconvenience is disappearing. German bread is no longer just sold at the speciality bakery. Lazada makes online ordering a feasible reality. I even had a German-speaking personally trainer last year. However, what really drove it home (no pun intended), was visiting Seattle in August for a month. Sitting on the couch of my Airbnb host, reading on my kindle and eating low-fat yogurt with fresh fruits, it occurred to me that this is virtually the same life as I have when I’m in Thailand. Sure, the people are different. But in the end, I eat similar, I meet similar types of people (thanks to meetup.com and other online communities), I do similar kind of sports (due to the global fitness / weight lifting boom), I travel in similar ways (thanks to Uber). Location just has become less important. That’s actually a really mind-provoking thought. These are “interesting times” and I’m not sure if it is a blessing, a curse, or a bit of both!